It took a lot for me to cut this gorgeous Designer Paper….oh be still my heart!!! Phew…I did it. This is one of those sketches that I knew right away what I wanted and when I went into my stash of DSP saw the corner of this and went “Oh Yes” the time has come to cut you!! hehe…(do you hoard DSP too)? Well enough of my little secret of being a paper hoarder!! The DSP is Morning Mocha Specialty Paper and is cut to 4 x 5 1/4. The Ribbon is Black Satin and tied in a double bow and taped to the back of the DSP then attached to the Black Card Base. The Image piece is an oval cut on the Ovals Die. The image is stamped with Versamark and and sprinkled with Black Embossing Powder…and heat set with my Heat Tool. I then popped the image piece up with dimensionals. As you can see I didn’t want to waste the tiny strip of DSP I had left over so the inside of the card got a strip of it too just to finish it off…that is mounted onto Very Vanilla so I can stamp the inside with a sentiment later. I hope you enjoyed my share today. 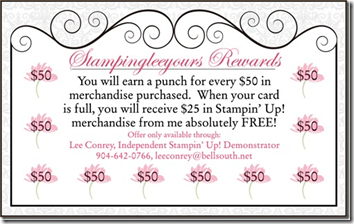 Please pop on over to the Stampin 411 Blog and see what the other Operators are up to. Love the card. I also hoard DSP but this week I used some retired paper as drawer liners for my desk. Now when I open my desk I get to see the beautiful paper every day, and it is not stored in a box. Very nice, I love that paper! I too have TONS of retired paper. just beautiful, Lee!!! I haven't had the nerve to cut up my Mocha Morning paper yet but this project is totally worthy of it! What a wonderfully rich card, Lee. This card is so elegant and your image is perfect for this lovely paper. This is beautiful!!! I just love this new DSP!! Soft and beautiful! This is simply stunning I love how you paired this with that wonderful dsp.